I can't believe we have already reached the end of July! Honestly, this year is flying by. This August it will be our 1st Anniversary since our wedding which is so unbelievably exciting. 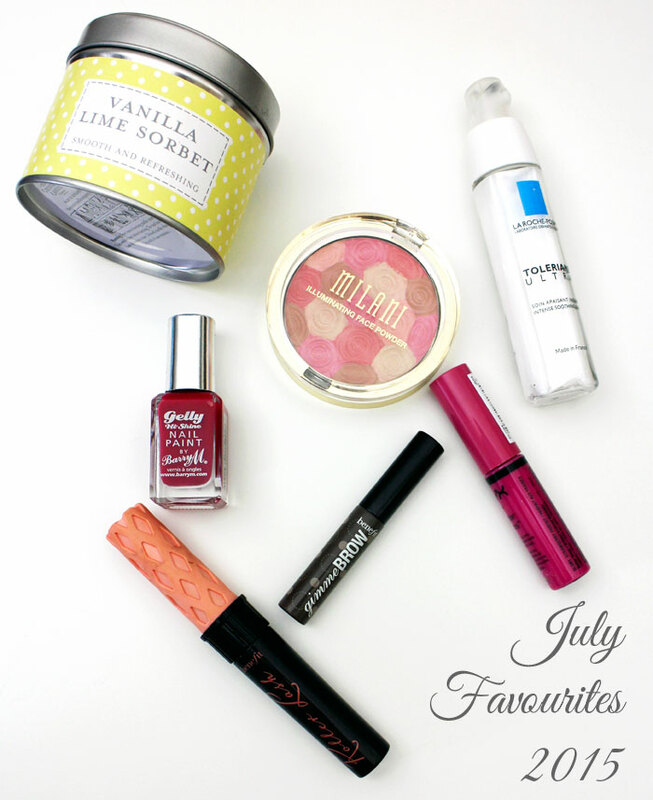 Keep a look out for a couple of exciting posts coming your way regarding this but for now I thought I would share with you all a video of my July favourites where I talk about all of the products that have really stood out for me this month. I ramble about a few pieces of make up including a mascara, brow defining gel and a lipgloss, a candle that smells absolutely delicious and a moisturiser that has changed my makeup routine and will be a firm staple for a very long time! I might even go as far to say that the moisturiser is a holy grail product!